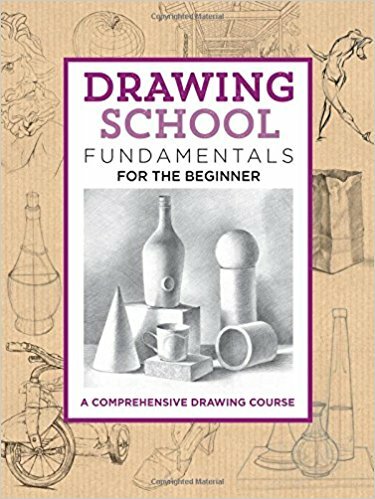 For those looking for a traditional drawing class in book-form, try Drawing School: Fundamentals for the Beginner. Fullerton College art professor Jim Dowdalls offers an academic-inspired, foundational exploration of the drawing basics. 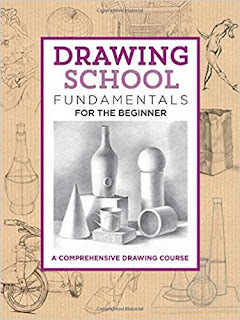 This book gives you a great primer on many different types of drawing. The book offers you many different exercises that will help you start to work on learning many of the different types of drawing presented in the book. The book is really set up like a drawing class, which is great. The author gives you a ton of great information that will help you to learn a lot about where you are and where you can be as an artist!